When my husband really, really likes something he’s eating, he goes into this very focused, sort of crazed mode. He’s just all about eating and that’s all that’s on his mind in that moment. I witnessed this firsthand when I served up my truly finger-licking Chili Mango Chicken Wings. I participated in Mom Blog Tour Sweets & Snacks Expo (#MomBlogTourFF) on behalf of Wendy’s Bloggers. I received Amazon Pepper products to facilitate my post, but my opinion and creative content are my own. I am all about heat and Amazon Pepper has the perfect hot sauces for my family because they have both mild and hot sauces. My favorite is the delicious mild Hot n’ Sweet Mango Sauce because it is so family-friendly (and I may or may not be a bit obsessed with anything mango lately), but I also really enjoy their spicier varieties for giving my recipes a delicious kick. Since my boys aren’t all about the heat like I am, I chose to make my delicious chicken wings with the Mango Sauce. Chili and mango is a classic combination and I knew this would combine so well with chicken. This Chili Mango Chicken Wings recipe has a medium heat level that I describe as sweet with a kick, but you can add more spices to make it hotter or cut back on the spices to make it less spicy (this is what I did for my kids the first time I made it.). I’ll share instructions for both below. First of all, you will want to make sure the chicken wings are fully prepared. Usually I’d opt for the frozen pre-prepped variety to make life a bit simpler, but I was determined to make it completely fresh so I purchased fresh chicken wings. I admit I had no clue I had to actually cut parts off and make drumsticks this way, so I had to look up how to prepare chicken wings. It was a little work (so use pre-prepared if you want to save tons of time), but we all really enjoyed the look and taste of the fresh wings. Totally up to you! Next you will want to whisk together the oil, Mango Sauce, chili pepper, cayenne pepper, lime juice, and salt and pepper in a large glass bowl. Gently fold the wings into the marinade. I recommend using a glass bowl because this step involves raw meat; you will not want to use plastic as that is porous and not great for using with raw meats. If you do not have a glass bowl to use, you can whisk up the mixture separately and pour it over the wings in the next step and just skip the folding in the wings, they will just not be as evenly-coated. Line a large pan (I recommend about an inch to an inch-and-a-half deep so the juices don’t spill) using non-stick foil all the way up to the rim. Trust me, this step is important if you want clean-up to be quick and easy. Place the coated wings/drumsticks in one layer onto the pan and dump the excess sauce over top. Cover the pan with plastic wrap or tightly with tinfoil and let the Chili Mango Chicken Wings marinate overnight in the refrigerator. The day you are ready to cook, preheat your oven to 250°F. The chicken wings will cook low and slow which will make them fall right off the bone when they are finished, so be sure to leave yourself enough time to have them ready by dinner. Uncover the pan and place it in the preheated oven. Cook for 3-1/2 hours, flipping the wings over about halfway through cooking so they are coated and cooked evenly. Once the wings are cooked, line a large cookie sheet with non-stick foil. Transfer the wings onto it in one layer, placing them back right-side up (leaving the excess sauce in the other pan) and broil on high for 3-5 minutes (watch them so they don’t burn.). This will help to really brown the wings, give them a little crisp, and get that marinade to stick to the outside. So good. The meat just falls off the bones. The whole family will love Chili Mango Chicken Wings. They are also the perfect food to serve at parties year-round, especially in the summer months. Amazon Pepper is a Colombian brand. They have several flavor varieties, including these: Red Amazon (hot), Green Amazon (hot), Chipotle (mild), Mango (mild), Sweet Chili (mild), and Hot n’ Sweet Guava (mild). Something I learned in Chicago at the event where we met up with Amazon Pepper was that the Amazon Pepper is actually a specific type of pepper. It isn’t just a brand name for any old pepper sauce. Amazon peppers are grown around the Amazon River Basin. These delicious marinated chicken wings will fall right off the bones. The whole family will enjoy them with their sweet mango flavor and a kick of heat from the chili. Whisk together the oil, Mango Sauce, chili pepper, cayenne pepper, lime juice, and salt and pepper in a large glass mixing bowl. Gently fold he chicken wings into the sauce mixture until they are coated. Line a large, 1" to 1.5" rimmed pan with non-stick foil up to the edges. Place the coated chicken wings in one layer on the pan then pour over the extra sauce. Cover with plastic wrap or tin foil so the pan is sealed. Allow to marinate overnight in the refrigerator. When you are ready to cook your chicken wings, preheat the oven to 250 degrees (F). Uncover the pan and place the wings in the preheated oven. Bake the wings for 3.5 hours, flipping them over about halfway through cooking. Once the chicken wings are finished cooking, line a large cookie sheet with non-stick foil and transfer the chicken wings onto it in one layer, flipping back right-side up and leaving the extra liquid in the other pan. Broil on high for 3-5 minutes until the wings get a nice brown color. If you want your wings to be a little less spicy, remove the seeds from the chili pepper before adding it to the sauce and remove the cayenne pepper. If you want your wings to be even hotter, add more cayenne pepper and you can also add another chili pepper if desired, until the heat is right for you. Visit Amazon Pepper to learn where to buy, and follow them on Facebook and Instagram! One winner per household, email address, or home address. If you have won this prize on another blog you are ineligible to win again. Winner must have a U.S.-based address to receive the prize. 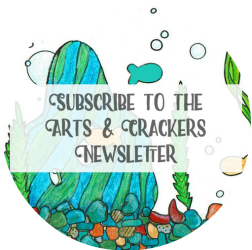 Arts & Crackers is not responsible for any accidents that may be caused by use of this product and is not responsible for shipment of the prize. This giveaway is in no way sponsored/endorsed by Facebook, Twitter, Pinterest, or Google. No purchase necessary to enter. Void where prohibited by law. All entries will be verified; invalid or incomplete entries will be discarded–Arts & Crackers is all about honesty. Please do not just “unlike” or “unfollow” pages after the giveaway. Giveaway open to legal residents of the USA and ends at 11:59 pm EST on 07/16/17. Winner will be chosen at random and have 48 hours from the point of notification to claim his/her prize. What Amazon Pepper Sauce are you most excited to try? Amazon Pepper, chicken, chili, dinner, food, giveaway, mango, recipe, spices, summer. Bookmark. I am most excited to try the mild Mango sauce. I want to try all of them! I love to try new things when I cook! I would like to try them all! They sound good! They all sound delicious, but sweet chili sauce is one of my favorite sauces, so I’m most excited to try their version. I am most interested in the Chipotle variety, but all of them sound good. I am most excited to taste the Hot n’ Sweet Guava Sauce. I was fortunate to have worked for a company based out of Miami, so I love guava now. I also now know how to make a perfect cup of Cuban Coffee too. Thanks for this recipe my mouth is watering. Yum. Yum.??? I would love to try their Jamaican style habanero sauce. Out of the ones above, the Red Amazon would be my first pick. The Sweet Chili Sauce that goes very well with shrimp(my fav food0…sounds great to me! They all sound great! Mild Mango for me, though! I would love to try the Chipotle Chili sauce. We love spicy in this house! The Chipotle BBQ sounds awesome! the Green Amazon Hot Sauce sounds really good. The Sweet Mango Sauce sounds good to me! I really want to try the Sweet Chili Sauce but they all sound delicious! I most excited to try the Sweet Chili Amazon Pepper Sauce. The sauce that interests me the most is the Sweet Chili Sauce. SO many choices… I’m most excited about the Mango sauce. Yum! I would like the mild chipotle best! They all sound good. Especially the mango! The mango sauce looks amazing. I love combining sweet and spicy in recipes. THE Mild Mango sounds good. The mild mango sauce sounds wonderful. Chipotle is a favorite in our house. The Chipotle Pepper Sauce sounds the best to me! These would be perfect for game day. Football is coming soon, yay!!! Counting down to College football here! Yes! This will definitely be a hit for game day and it’s perfect because it’s pretty much make-ahead and just stick it in the oven the day of!